If you are looking for an oil change in Lauderhill, you will get high-quality services from our experienced and expert team of mechanics. We are certified and have an excellent environment for our customers. Our technicians are dedicated to providing you with high-quality services at affordable prices. We are experts in auto inspection and auto repair in Lauderhill. We help you through the process of choosing between high mileage or diesel, synthetic oil or conventional making sure you get the best oil suited for your vehicle’s needs. Oil is one of the most vital ingredients of an automobile to reduce friction, minimize wear and tear and keep the engine healthy. Regularly scheduled oil changes give you the maximum output of the vehicle. It also protects from corrosion caused by condensation. If you want maximum engine performance, don’t skip out on changing the oil on time. It improves engine efficiency and reduces consumption. The life of your vehicle can be enhanced if you regularly change oil and you can enjoy driving the car for many years. The low oil level can raise many issues that may damage or harm the other parts of the vehicle as well. Regularly changing the oil ensures that the engine has sufficient supply of oil. Changing oil after a long time can cause the heat in the working process and burnt away all the coolant which makes the engine hot. Overheating can be caused due to old oil. It reduces not only the efficiency of the car engine but also damages other parts. If the engine does not get the proper lubrication, this can produce friction and create wear and tear. 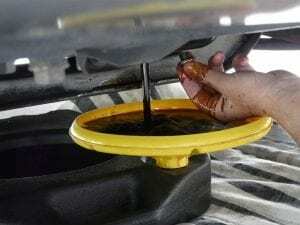 Skipping the oil change can create a buildup of dirt leading to the effect of the overall performance of your vehicle. We only use the oils of top brands that not only give your vehicle the maximum efficiency but also protect the engine and environment by reducing the carbon content in the air caused by dirty oil. We also lubricate all the necessary parts of a vehicle according to the standards of the maker to make sure every part moves smoothly and efficiently without causing any friction and help you to run the car long on the roads of Lauderhill and beyond. Customer care and satisfaction is our priority, and we strive to offer you the top-notch services that fit your budget’s requirements. We are sure you will feel comfortable in our friendly dealership and environment in the workplace. To get to know more about our services and free price quote, give us a call today.